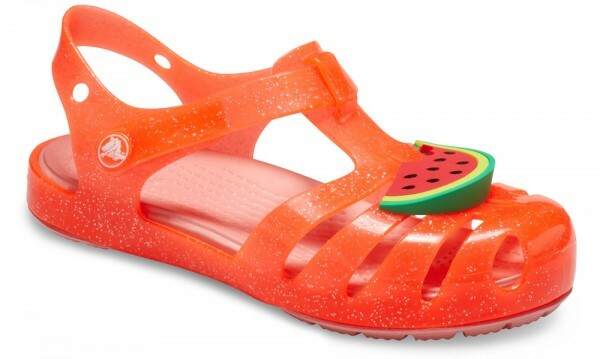 Product information "Isabella Charm Sandal Kids Bright Coral Croslite"
This lovely clog features a playful but practical silhouette and soft, flexible Gemlite straps that are comfortable from day one. New three-dimensional charms - including a unicorn, watermelon, daisy or flamingo - add a big dose of adorable she will love showing off. They're the perfect warm-weather option for girls of all ages. Versatile enough to go from poolside to schoolside and back again. Playful, sometimes sassy, always comfortable. Related links to "Isabella Charm Sandal Kids Bright Coral Croslite"
Customer evaluation for "Isabella Charm Sandal Kids Bright Coral Croslite"